Dumaguete City is a beautiful seaside town with a diverse and rich cultural heritage. The city prides itself as being a modern community while still keeping its old traditions alive. The best way to immerse oneself in a particular region's culture is to eat like a local. 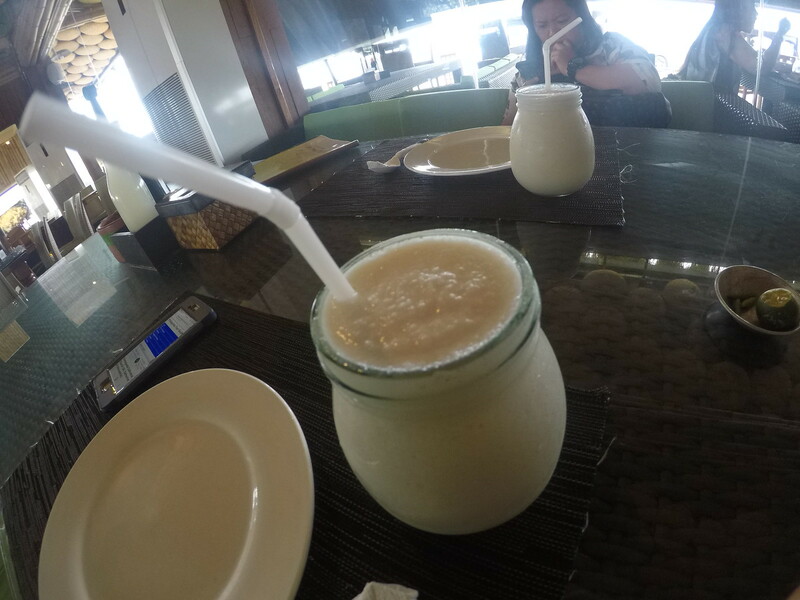 And that's exactly what we did during our recent trip to Dumaguete City. Its food scene offers a good mix of traditional and modern cuisine, catering to the myriad tourists that flock the city. Being a waterfront settlement, expect seafood to be abundant, readily available and affordable at Dumaguete. 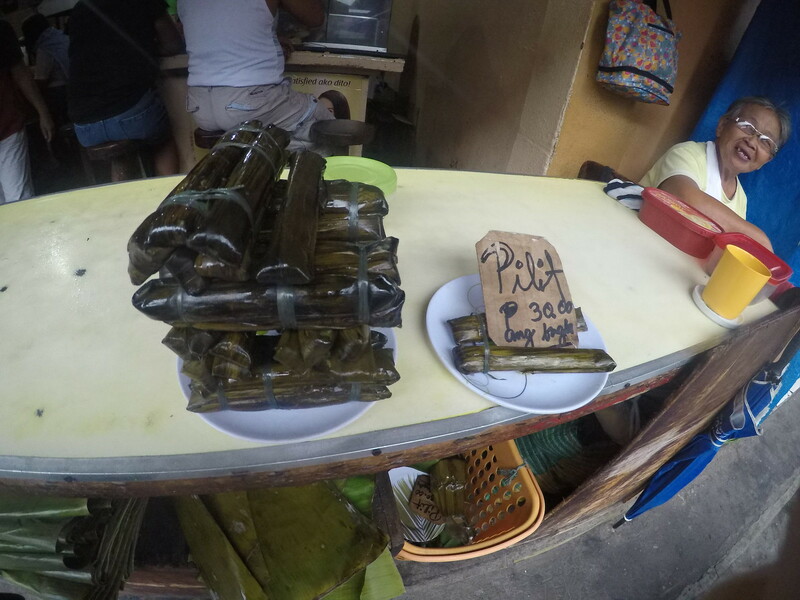 First off, begin your day with a filling breakfast in one of the painitans at the Dumaguete Public Market. We chose Sison's Painitan at the farthest end of a row of stalls. 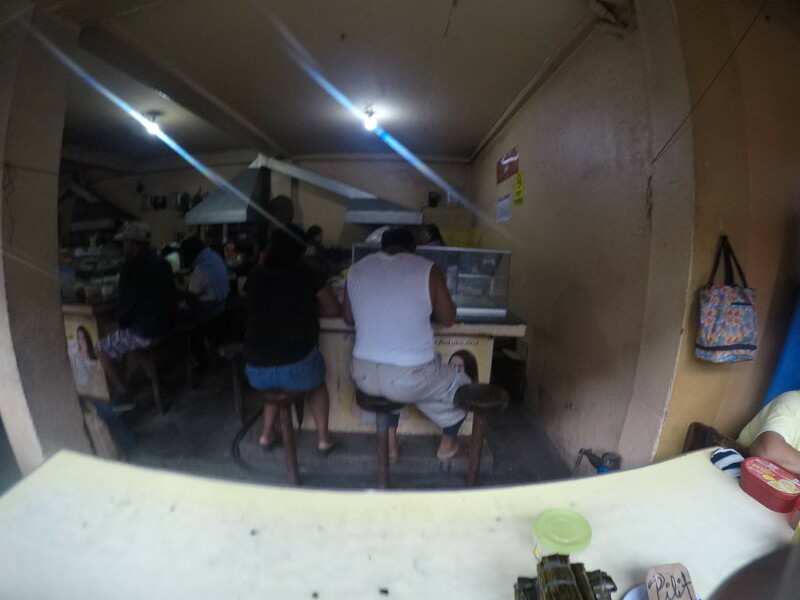 Painitan is a place where workers and just about anybody else can have something "mainit" or warm to fill their bellies and energize their bodies in anticipation of a long day of work. Food here is very basic -- a shot of thick native chocolate drink, a cup of brewed coffee with condensed milk, a scoop of puto (sticky rice cooked in coconut milk and a little salt), a piece or two of kabog (similar to suman or steamed cassava roll wrapped in banana leaf) and maybe bread with either margarine or peanut butter. 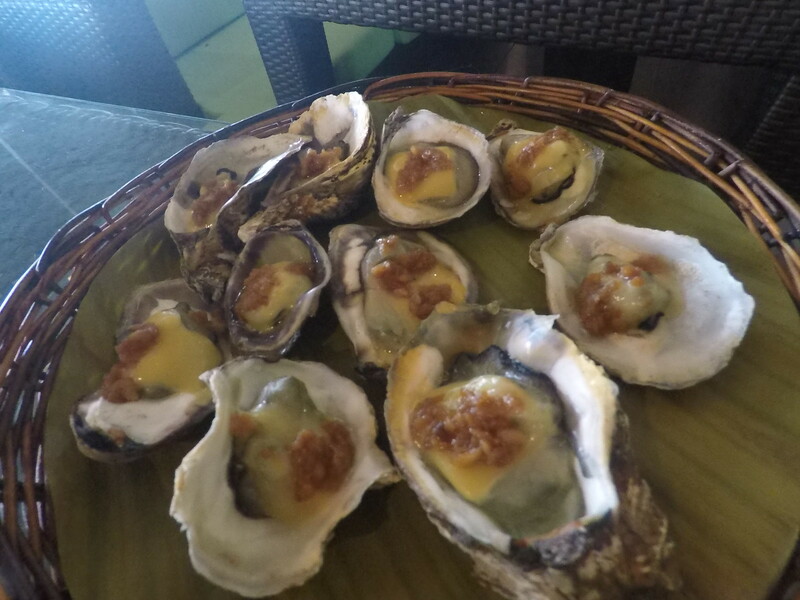 A word of caution though, this is not for the posh or luxe traveler but it's probably the most immersive gastronomical experience that one could get in Dumaguete. Don't worry though, if this is not your thing, because there are many other restaurants in Dumaguete that serves good breakfast food. Head over to Sans Rival Cakes and Pastries, Gabby's Bistro, The Rollin' Pin, Jo's Chicken Inato, Hayahay Restaurant for a variety of Filipino and continental breakfast meals. 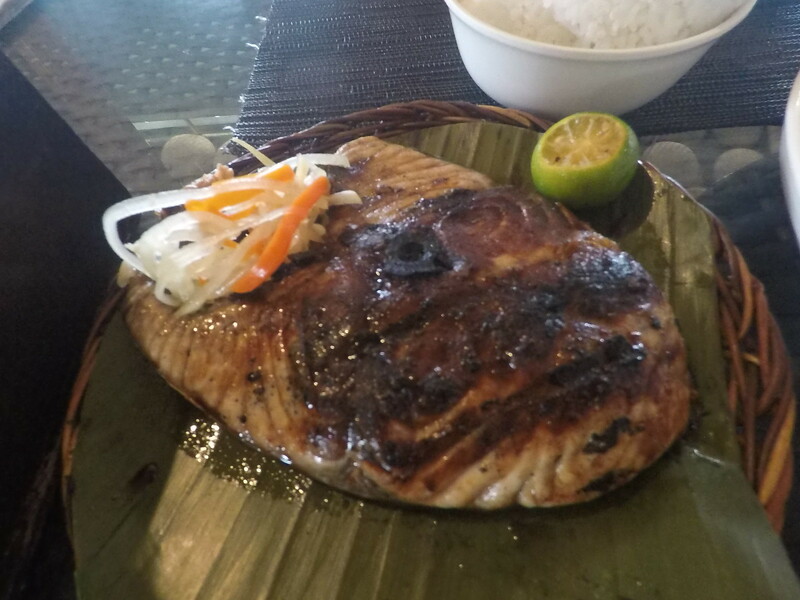 When we arrived from our Manjuyod trip, we asked the receptionist at Golden Gate Suites for recommendation on where to get the best and most affordable seafood meals in Dumaguete. Without second thought, she said we should try Lantaw Native Restaurant, about 15 minutes away from downtown Dumaguete via tricycle. One thing striking about Lantaw (“to foresee” in English) is its interiors embellished with Filipino decorations. The entire ceiling is covered with bilao (native woven tray) while the main counter featured the entire forepart of a jeepney. 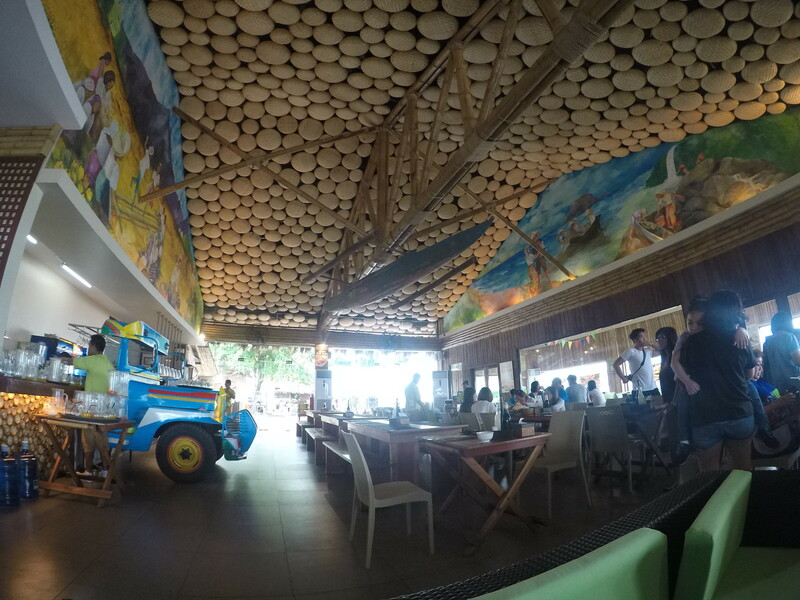 It's a big, high-ceilinged restaurant that is perfect for casual diners or those holding an event. 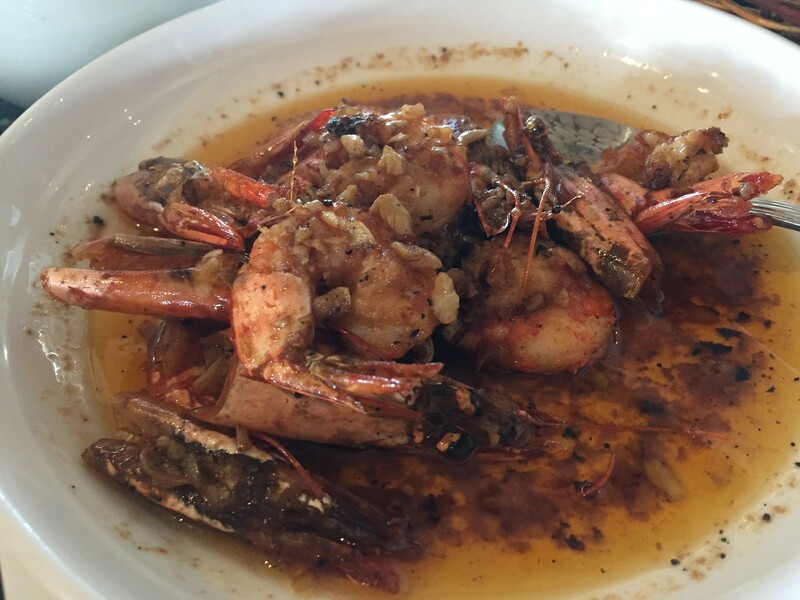 We ordered a feast -- grilled tanigue, cheesy baked oysters, garlic buttered prawns and kangkong adobo. 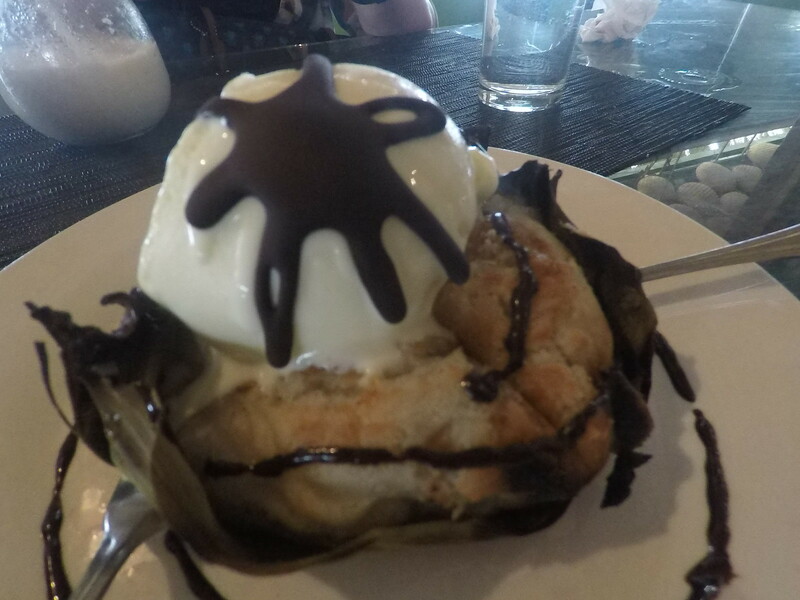 Dessert, meanwhile, is moist and warm bibingka ala mode. 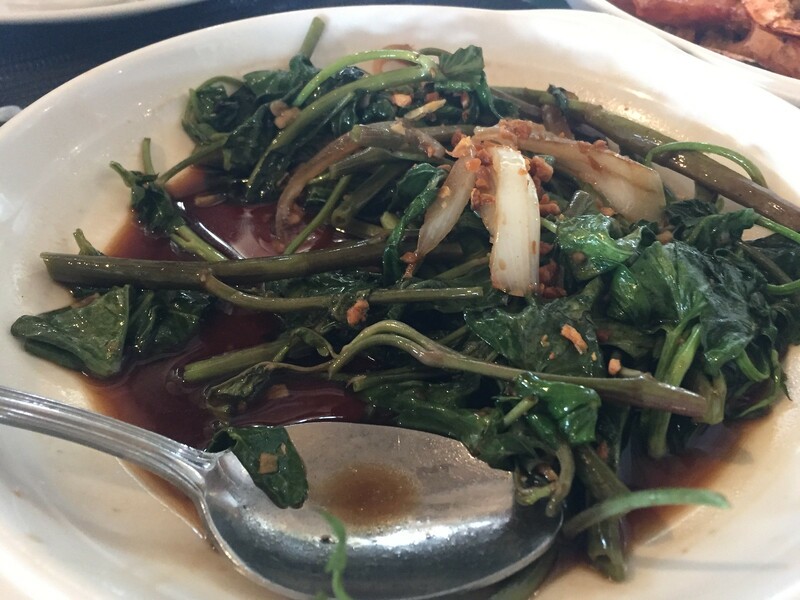 We have nothing but praises for these amazing dishes. Quality, taste, freshness and price were all noteworthy. 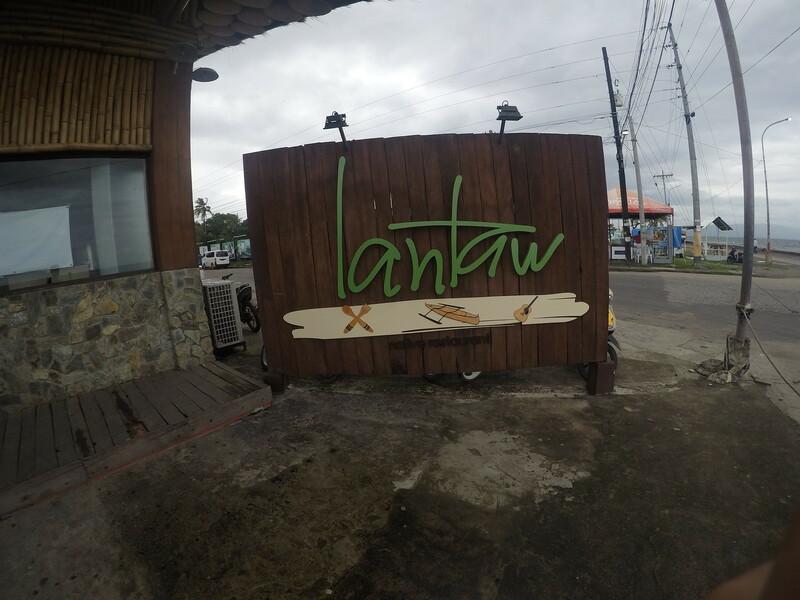 Every visitor in Dumaguete should put Lantaw Native Restaurant in their itinerary. After a savory meal, a good dessert should always be in order. 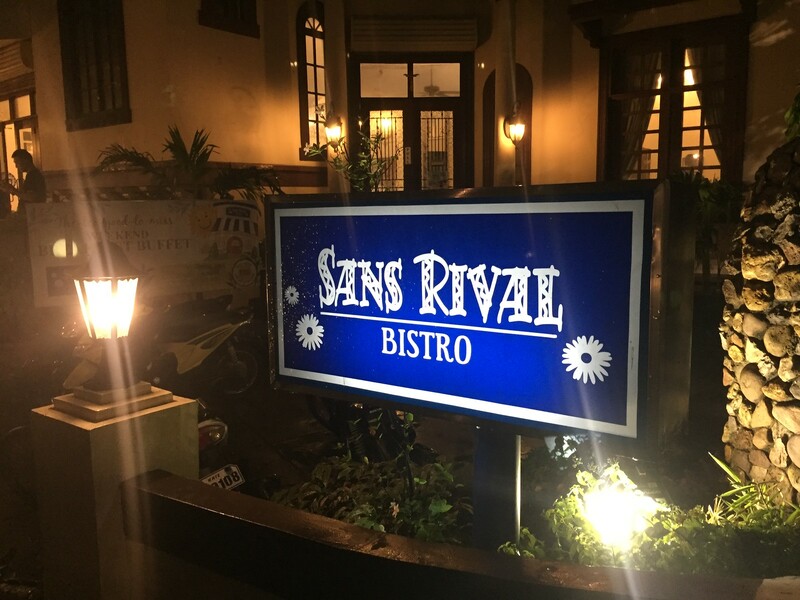 For your sweet fix, have a slice of sans rival or a piece or two of silvanas at Sans Rival Cafe & Restaurant, perhaps one of the most recognizable landmarks in the city. Pair it with a cup of coffee and you're good to go. The night scene at Dumaguete is not as bustling as, say Boracay, save for a few bars that feature live acoustic music. 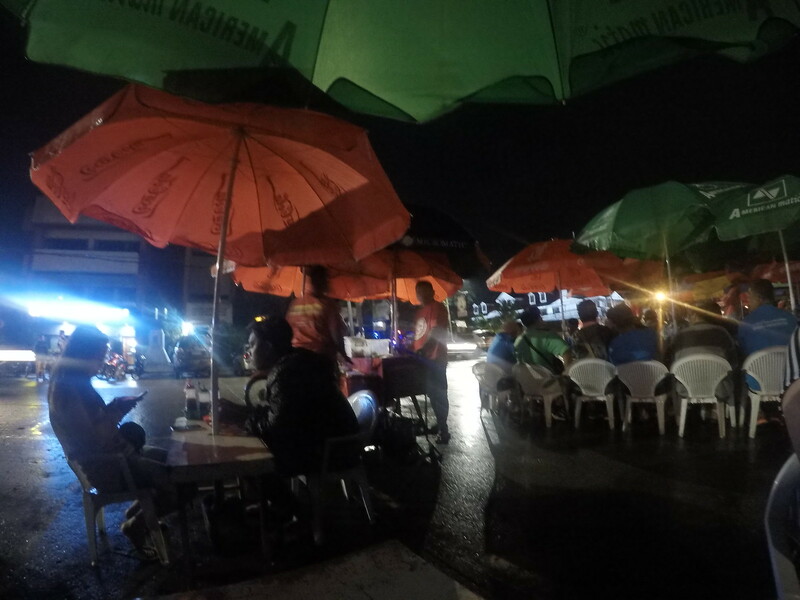 In the evening though, Rizal Boulevard comes alive with stalls selling Dumaguete's most famous street food -- tempura and seafood roll. Tempura is not the japanese dish that we are all familiar with. It's more similar to kikiam, both in taste and form. The seafood roll, meanwhile, is a tasty morsel made of fish and vegetables. 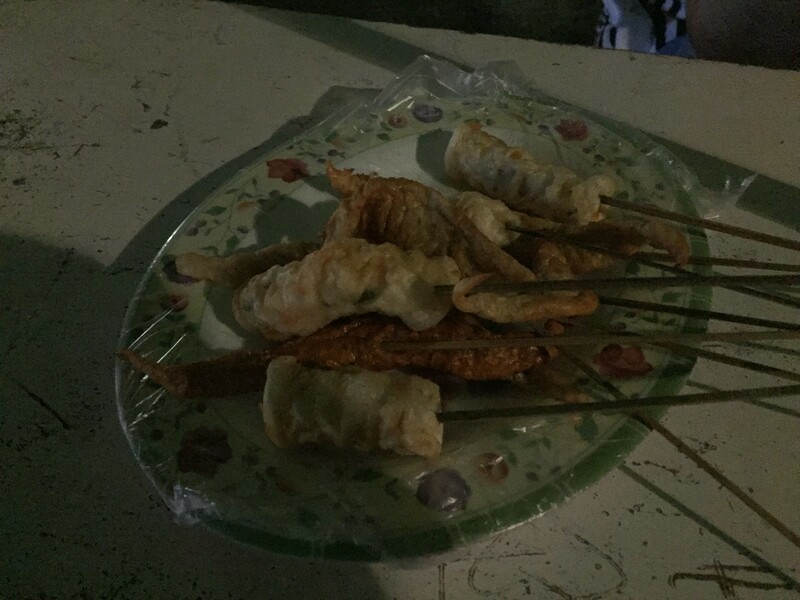 Tempura is Php4/piece while seafood roll is Php7/piece. Sauces are a choice of sweet, sweet spicy and spicy vinegar. There are tables set up at each stall where patrons can comfortably eat. Drinks, both alcoholic and non-alcoholic, are likewise sold. 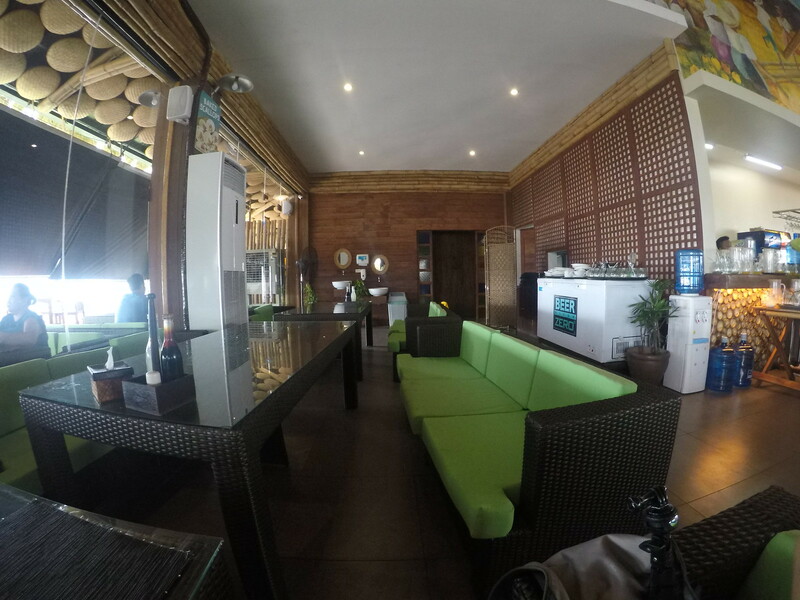 These are just a handful of restaurants to check out in Dumaguete. There are many more places to explore in the city, just ask around especially tricycle drivers who never run out of good recommendations. Just always remember to eat like a local in order to best experience the culture and uniqueness of the place you are visiting. This all looks absolutely delicious! Where is Dumaguete City? I've never heard of it before. This is in downtown Dumaguete. Most of these are just a few minutes away from the city center. All of that food looks deliicous. I'm a pescatarian so those oysters and shrimp look absolutely amazing.! You tasted the food of all kinds! I completely agree on your point to eat like locals to know the city better. Really great variety of food but I would like to have that chocolate drink! 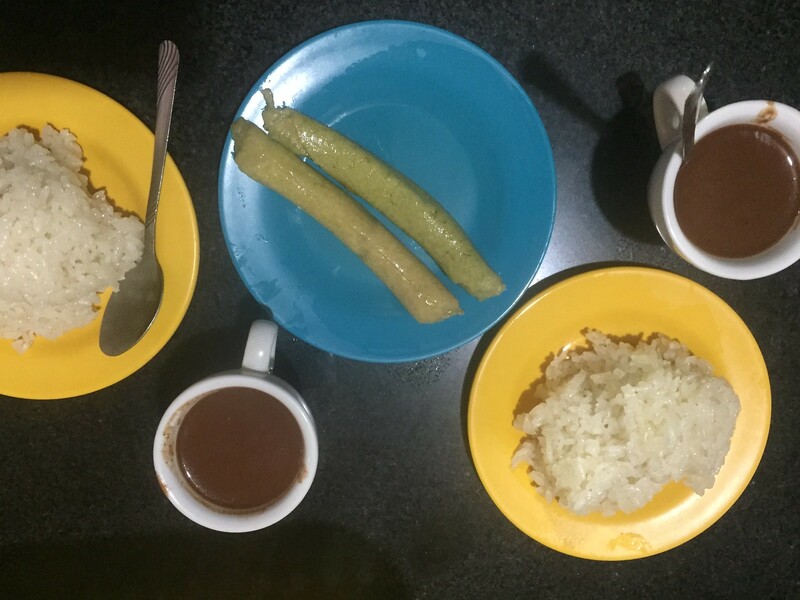 I loved the first place you mentioned (Sison's painitan) for a very basic breakfast. 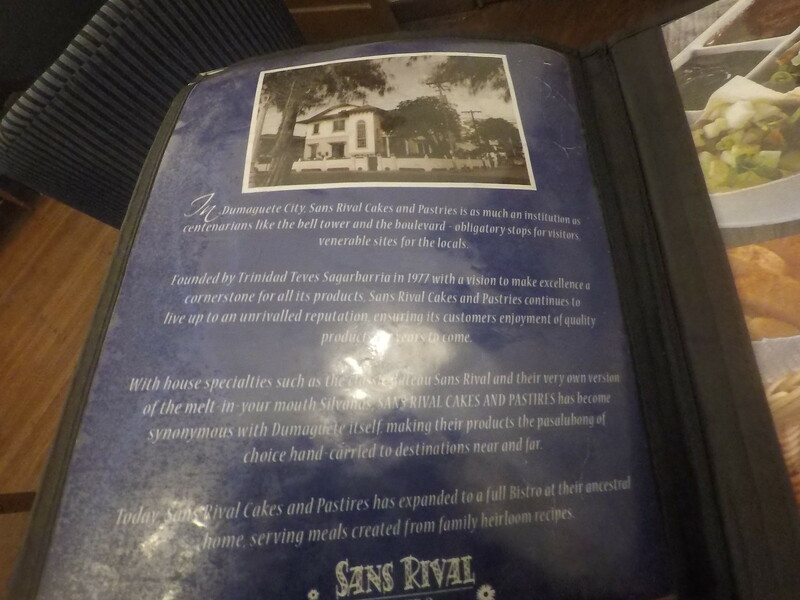 I like to experience life as a local and try to avoid the tourist trap when i'm travelling to different countries and this place speaks of local eateries. Thank you! Yes, food was fresh, especially seafood. Thank you. i agree with you. Thank you. Yes, those were awesome. That hot choco was good. OMG the food looks incredible!!! It was! Thanks for dropping by! Thanks for dropping by! Those are really amazing. 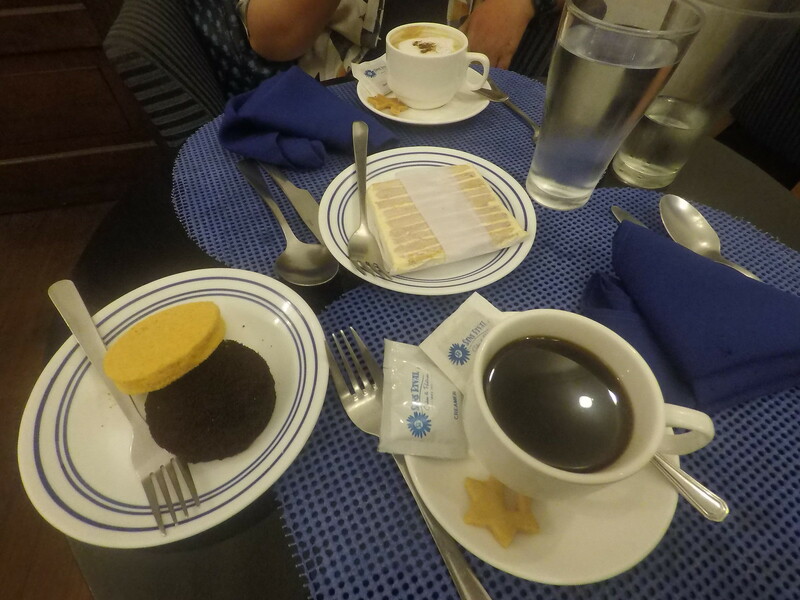 Good post, thanks for showing the underrated eating spots in dumaguete along with the already famous restaurants. Try visiting our website dumagueteneo.com. 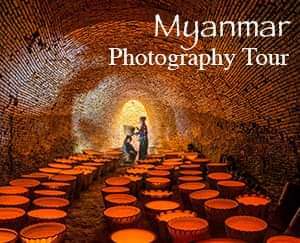 You can book tours there and find restaurants, see listings on houses for sale. It's cheaper and easier for the people to get around and know the town. Thanks for sharing!! Thank you very much for your kind words! Your website would be very helpful to travelers.